These earrings would make the perfect gift for any upcoming occasion. 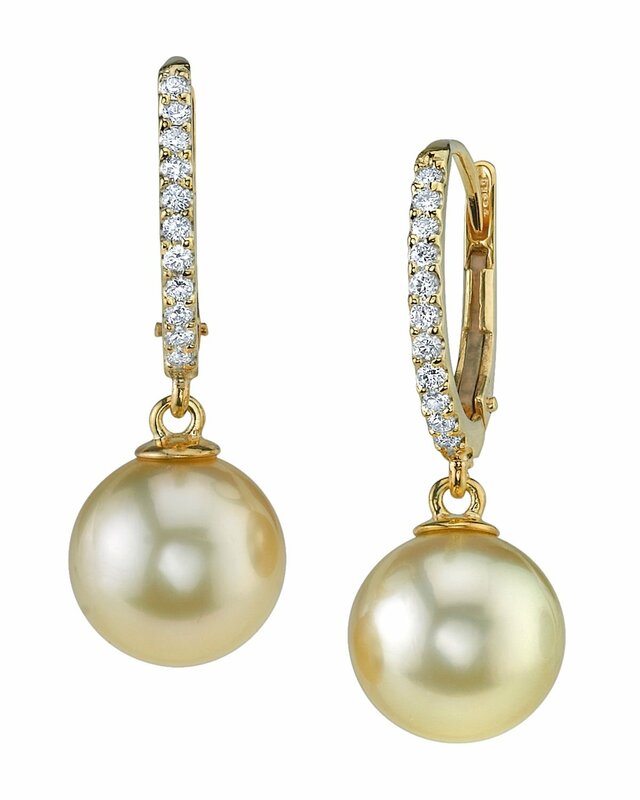 These earrings include two beautiful Golden pearls with 'Very High' luster, our highest grade available. The mountings include 11 sparkling SI quality diamonds per mounting totaling .15 Carats. If you have any questions, feel free to call us anytime at 866-87-Pearl (866-877-3275). Great combination of pearl and diamonds! Leon and Lauren were extremely helpful. My wife loved the earrings. Leon, you keep earning my business. It is good, but not to my liking.